Can you believe how fast the month is going?!?! I can't believe we are in April already!! I am here this morning to share a project I created for this weeks challenge over at SweetStamps. This card consists of 3 different stamp sets!! Yes three!!! The only fussy cutting I did was creating the mask for the images, but those can always be reused if stored properly. I love Easter and we normally have plans to head up North to the cabin, but we decided that with everything we have going on this month, we would put it off for a bit. Here is a close up of the image and how beautiful the image looks when created in layers. 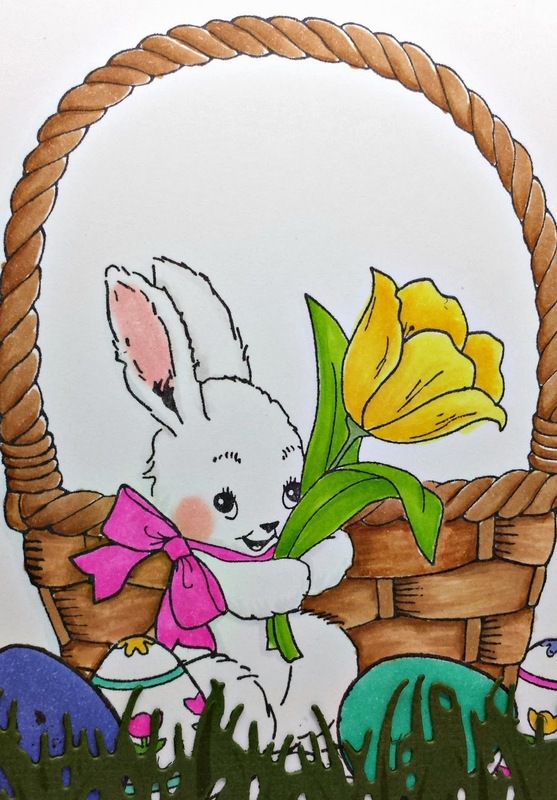 So I hope that you will join us this week and show us your beautiful Easter creations as well. I agree- all of the masking turned out fab! 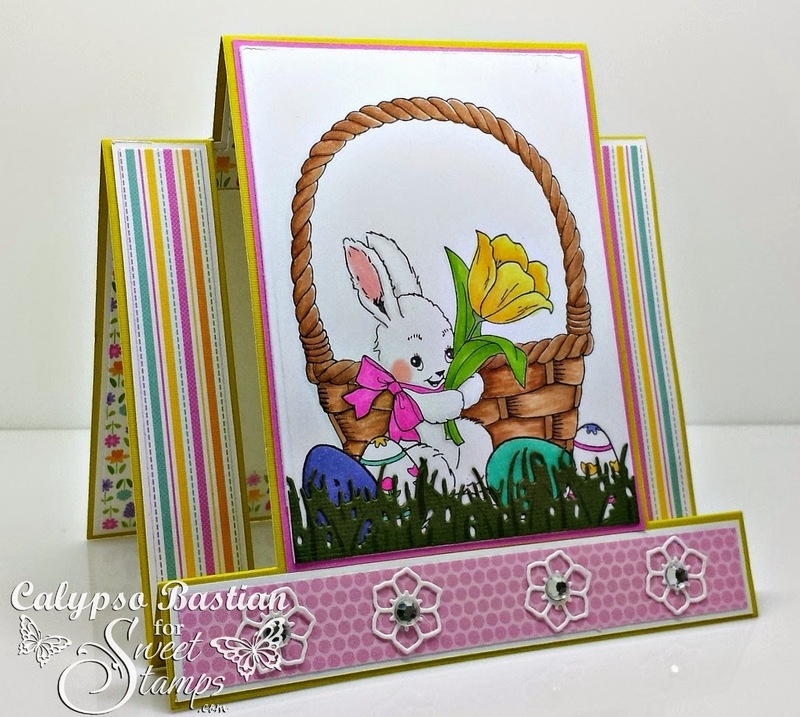 LOVE this bunny scene- and the great Easter colors in the DP and on the card! So cute easter card. I love spring colors & image. Thanks for playing with us at Dream Valley challenge. Oh for Petey's sake this is the most adorable Easter card!!! Love how you combined so many stamps to get the final look. Super cute Calypso! !